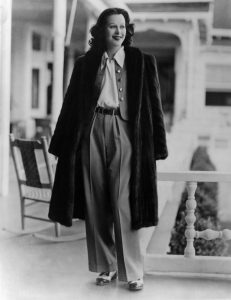 Iconic looks made actress Hedy Lamarr the staple for aspiring actresses in Hollywood in the 1930s, ʼ40s and ʼ50s, as noted in the informative new documentary, “Bombshell: The Hedy Lamarr Story.” Photo © Diltz/RDA/Everett Collection (00523921), courtesy of Zeitgeist Films. 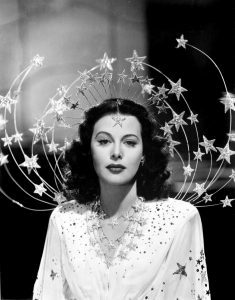 A “star” in the truest sense of the word, actress and inventor Hedy Lamarr, as seen here in “Ziegfield Girl” (1941), possessed both iconic beauty and great intellect, as detailed in documentary filmmaker Alexandra Dean’s latest offering, “Bombshell: The Hedy Lamarr Story.” Photo courtesy of Zeitgeist Films. 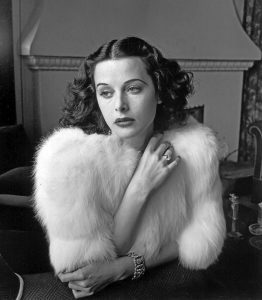 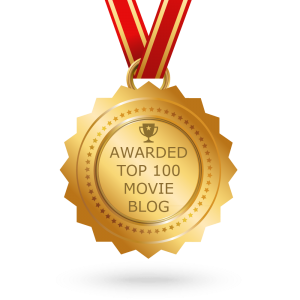 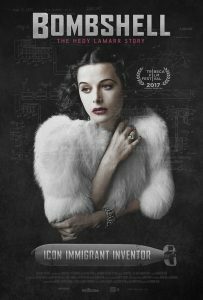 It took more than wearing pants for actress and inventor Hedy Lamarr to get noticed in a man’s world, as noted in the insightful new documentary, “Bombshell: The Hedy Lamarr Story.” Photo courtesy of Zeitgeist Films.